We are starting a new segment at [insertgeekhere] called Sunday Links. Each week, I'll provide you with some of the best stuff I have found on the web. A lot of these links are things that we have posted on our Facebook or Twitter pages, so if you want a sneak peek, go follow us there! If you found something you want us to feature, email us at insertgeekhere@gmail.com. First off was the announcement that Wizard Magazine was no more. They closed their doors on their print magazine while they get ready to move to an digital format. Wizard seems to be concentrating completely on their convention circuit at this time. With the announcement came posts about sadness, remembering all the people that got their start at Wizard and some juicy gossip about the closing. Next big story for the week was the highly talked about death of a member of the Fantastic Four! We covered it in full, including an obituary and the review of Fantastic Four #587. iFanboy also had a great article about how the media spoiled it for the world. 10 Comic Book Characters Who Aren't Actually Wearing Any Clothes. Geek to Me featured Geek∙Lee∙Tist∙ on his blog, to talk about how cliquey the geek community has gotten. It is a truly powerful article that deserves attention from all of us. DC announced their upcoming, rock the universe event, Flashpoint. It will be comprised of a lot of one-shots and minis over the entire universe but will be centered on the character, The Flash. The Beat has a great write up about the few details released here. 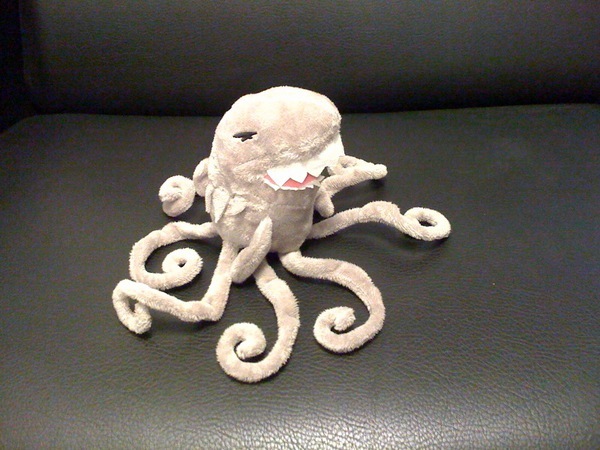 To end things on a fun note,@SyFy released this Sharktopus plushie pic on twitter in anticipation of the dvd release. While I haven't seen the film yet, I want one! The Guardian Project Starts Today! 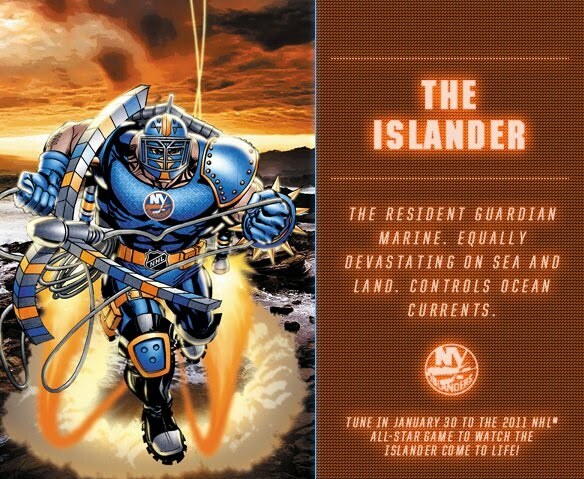 The Guardian Project comes to life today at the NHL All Star game, on the Versus Network at 4 pm ET. This will be the kick-off of the largest group of new superheroes in comic history. Each team has their very own hero, with unique abilities. With 30 original superheroes, Stan Lee has truly mastered a huge undertaking. Today, we get to see what the very first mission is that the Guardians undertake to protect the world. Over the past few weeks, they have been releasing photos of their heroes on the Guardian Project Facebook page. Video clips of the heroes have also been seen on the Versus network. Each of these Guardians have been designed by the great Neal Adams. This new universe keeps sounding better and better, and I am getting more and more excited. Go check out The Guardian Project now! Check out my coverage of The Guardian Project at NYCC 2010!